Poverty in Britain is all a bit Dickensian isn't it? or is it? January 2012, a month I wont forget in a hurry! Money was really tight, I was receiving ESA and trying to study a college course at the same time. Tilly was at a fab little nursery in the same town that I studied and she loved it there. When I had started the course, I was given the promise of having the course paid for, the childcare, bus fares and Tools that we needed paid for. I thought to myself that this was a win/win situation. Only a few months in we were told that the circumstances had changed and we weren't getting the funding anymore. Horrified I looked at my finances to find not only had i lost out on nearly £200 in bus fares but my childcare bill had spiralled to nearly £200 with one childcare provider and nearly £100 for my second childcare provider. I was stumped, I didn't know where to turn and luckily enough for me, the childcare providers were really helpful and worked out a payment plan. So I was paying £30 a week to the childcare providers and £10.50 a week to get to college. Times were desperate and I didn't know where to turn, I couldn't even feed my 4 children on the money we had coming in. I went to my local children's centre and they suggested going to a food bank to get some temporary help to feed us. I was asked all the details about the children living at my house and given a red slip which I would have to take to the food bank to exchange for some food. At this time I cant describe how helpless and useless I felt as a parent, I was trying to study at college to provide a better life for my children but it seemed like I was getting into more debt over it. It was a heartbreaking time, not being able to provide for my family when a simple twist in our life had made things so difficult. 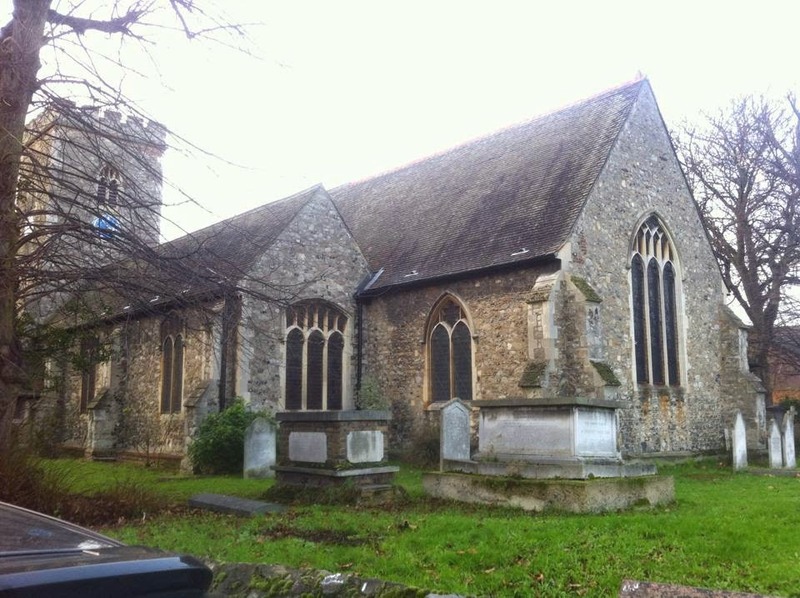 On the Friday I went with Kim to the food bank that was based in a local church, We both stood outside for a while not daring to go in as all sorts went through my mind. They would know I wasn't coping, they would know I couldn't afford to feed my family and they would know that I was a failure. or toiletries. After a few minutes the ladies returned with 7 bags of food and supplies for us and I had never been so grateful for having the food bank there in my life. The food was for 5 of us to last 3 days, but we managed it to last a week. And do you know what? the lady at the food bank told me that things would get better and they did! within a week the college coughed up with all the money they owed me and the funding from sure start kicked in. Quite often people do have cash flow problems whilst they are waiting for benefits to come in, or even if you work and you still cant make ends meet, because it does happen! we live in a society of the ‘working poor’ - people who are worse off working than claiming benefits. 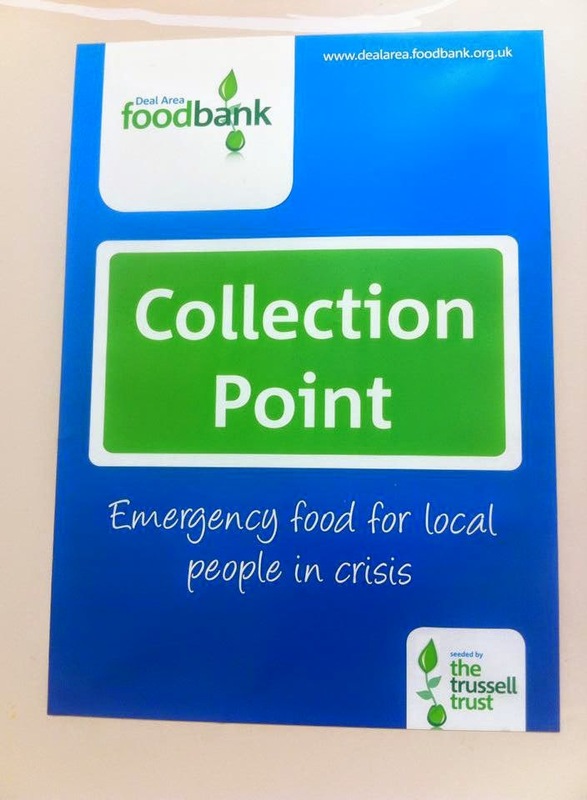 The Trussell Trust, The charity which runs a network of over 400 UK food banks, has noticed a huge increase in people needing help with food poverty in the UK and over 6 months they have helped nearly 500,000 people with 3 days worth of food and support. This couldn't of been done without the volunteers and the donations of food from companies and members of the public. 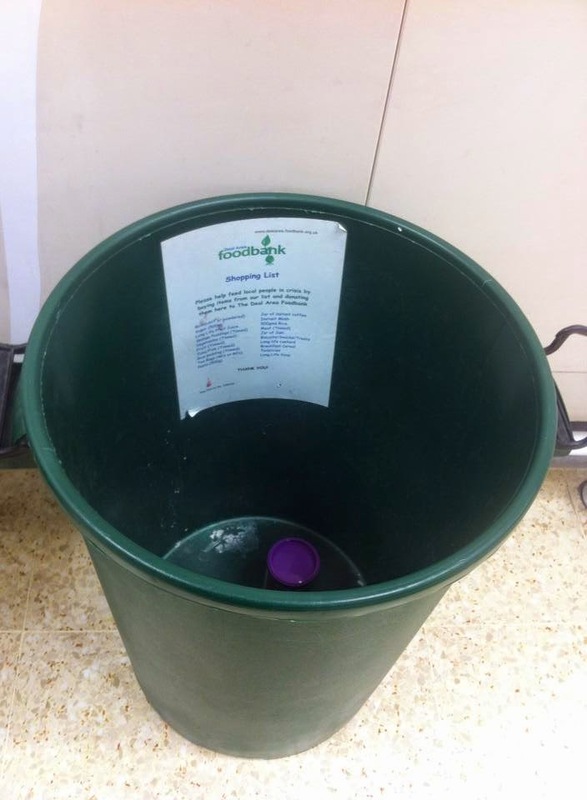 In food bank areas you can generally find a donation bin in your local supermarket, so next time your shopping please pop something in the bin because it could be the difference between someone eating or not. Oxfam and Unilever are working alongside The Trussell Trust to support communities opening foodbanks and working with them to help try and campaign against the poverty in the UK. 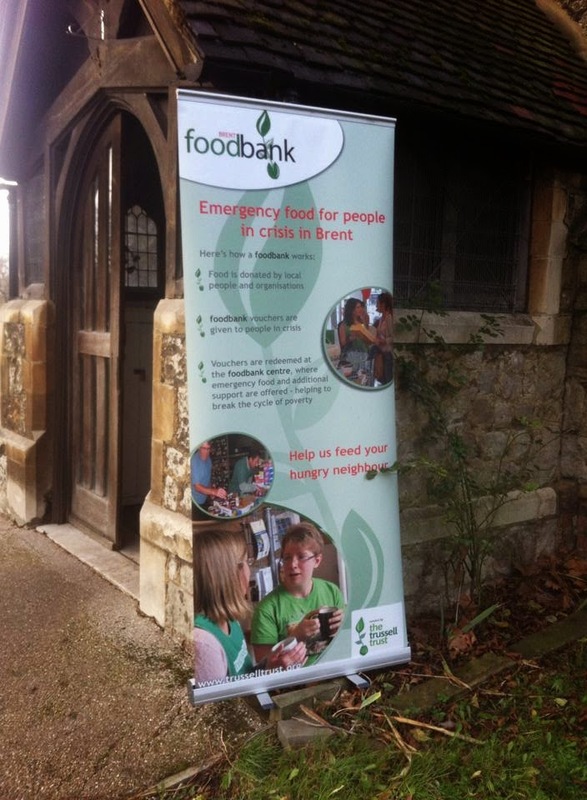 They support the Foodbank and schools in Tower Hamlets, in east London. Tower Hamlets has one of the youngest populations in the country, but is one of the most deprived boroughs in the UK. 46% of children in Tower Hamlets live below the national poverty line. [LBTH Child Poverty In Tower Hamlets Briefing, 2013]. This shouldnt be happening in this day and age! here to help her and to come to the food bank made her feel good, she needed to talk to other adults and she needed to talk about her problems. The lady was helped on this occasion and will have food hopefully to last the weekend. She didn't even know if they would provide her with food or not, but not only did they provide food but they provided a listening ear for her, a shoulder to cry on and bought a smile to her face. 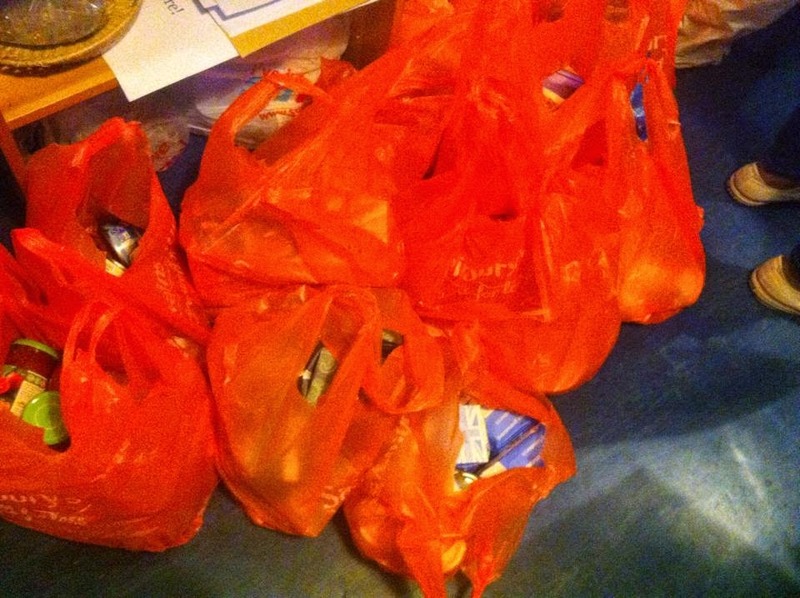 Whilst we were there a local shopkeeper came in and donated boxes and boxes of crisps to the food bank. 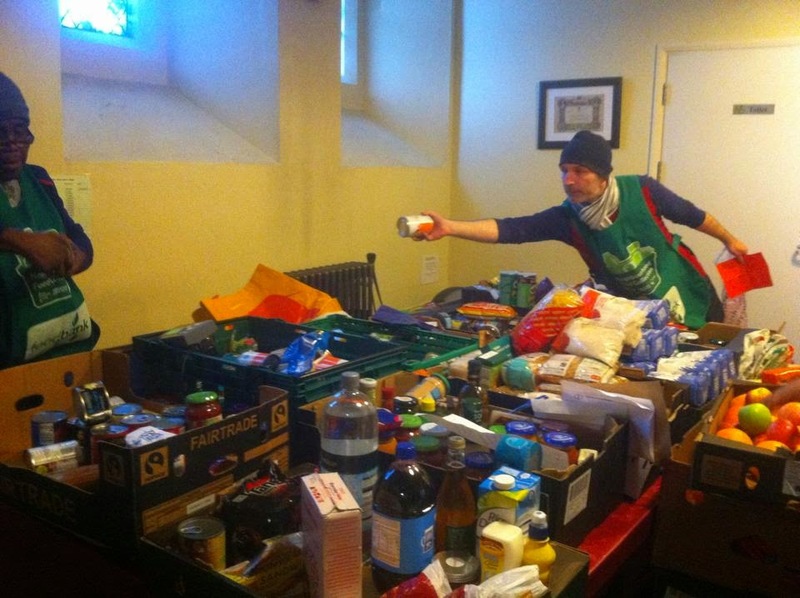 Michelle who runs the Brent foodbank explained that everytime he puts in an order, and donates half to the food bank. 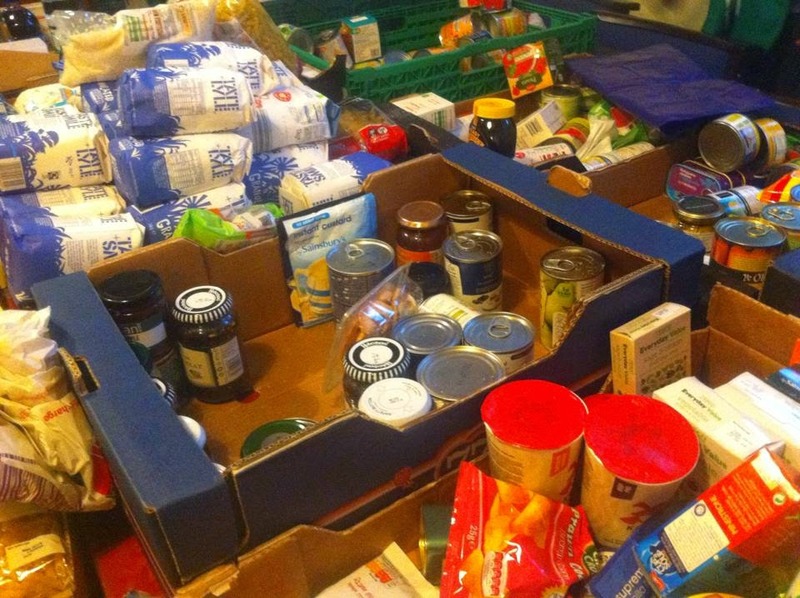 Without businesses donating too, the food banks would struggle to feed all the people needing to go in for food. by not wasting a morsel of food. Share a photo of your empty plate on Facebook or Twitter and use the hashtag #ClearAPlate, Spread the awareness to help raise awareness of the 11,500 tonnes of food that the UK throws away every day. This is enough to fill Wembley almost to the brim every year . We believe that in a land that throws away so much, it’s shocking that so many families go to bed hungry.